Let the inner chef in you explore! 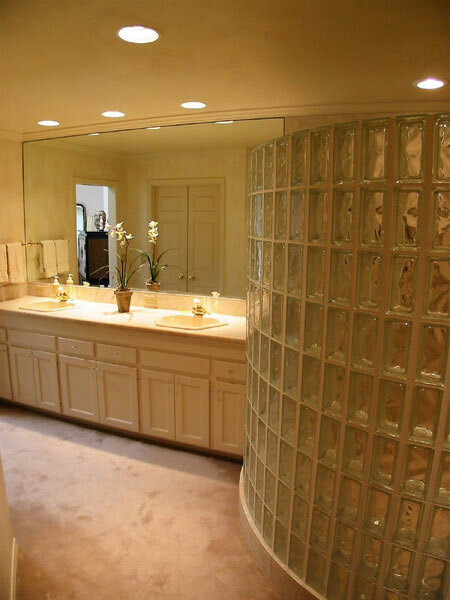 Quiet privacy - have the bathroom of your fantasies. Curb appeal! Make your home irresistable to a future home sale. Let's talk vacationing at home! Create your own personal outdoor space! 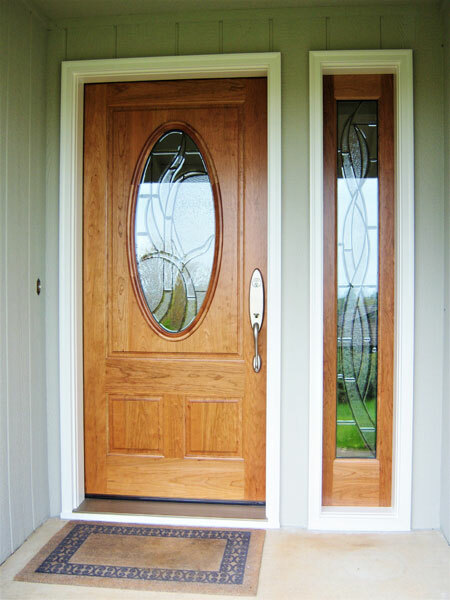 At Salem Remodeling, Inc. in Salem OR, we understand how important your home is to you. It's probably one of your most important investments. 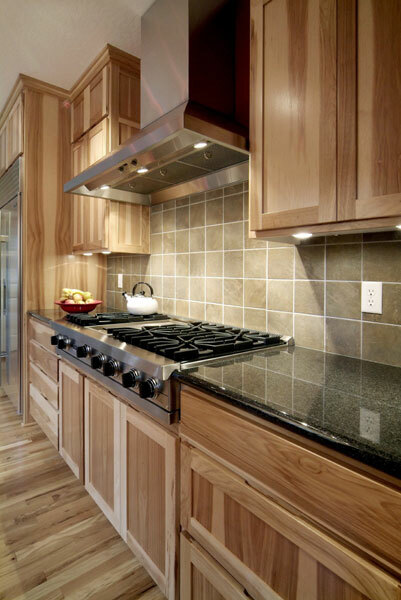 Whether considering an addition, exterior or interior remodel, a new kitchen or bath, you can trust that Salem Remodeling will care for your home as if it were our own. 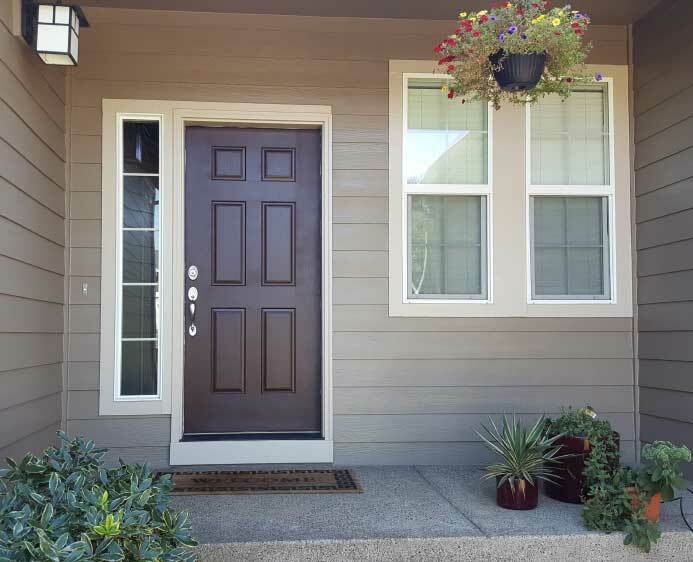 A full service remodeling company, Salem Remodeling has been providing distinctive, high quality remodeling services to the greater Salem-Keizer and surrounding area since 1985. 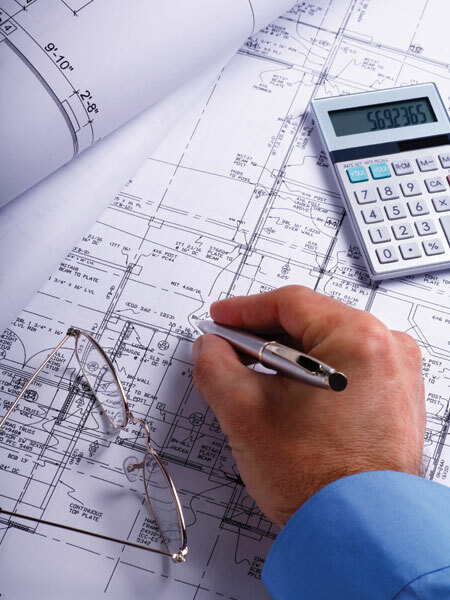 The Salem Remodeling team includes a variety of skilled & knowledgeable trade professionals who can assist you in budgeting, planning and building your project from start to finish. After reviewing our portfolio, reading what our clients have to say, give us a call; Tim Robinson will be happy to discuss any remodeling ideas you may have for your home. Owner Tim Robinson has worked in the construction industry since 1972. 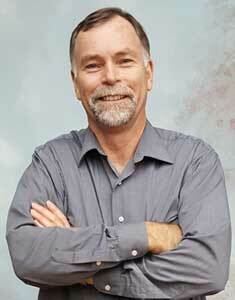 Tim enjoys helping homeowners find innovative and inspiring solutions to their home renewal needs and dreams. Homeowners aspire to have more comfortable surroundings that are useful yet pleasant and enjoyable. If you need help with your project but aren't sure where to begin, contact Tim Robinson today for some friendly consultation. Design/build. Some describe it as the answer to a homeowner’s prayer. Others describe it as a savings of time and money. Salem Remodeling Inc. describes it as “plain common sense.” Design/build is a process where an entire remodeling project—from the initial design concepts, drawings and budgets to permits, regulations and zoning laws to actual construction and final walk through—are organized and performed by a single entity, a single point of responsibility.  That single point is Salem Remodeling. The efficiency of this process allows for tight control of costs; management of the construction schedule; and a quick turnaround between design, construction and completion. 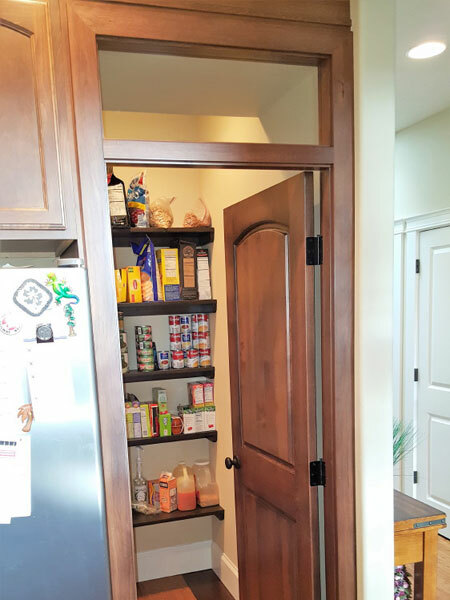  Design/build prevents remodeling horror stories. When Salem Remodeling takes on a project, Tim Robinson oversees the entire process, ensuring a homeowner or business that the project will be delivered on time and on budget. A kitchen remodel is by far one of the best investments a homeowner can make, and the return on investment (ROI) kitchen remodeling might produce is an important consideration. The ROI a homeowner might expect for a kitchen remodel varies, depending on how you spend your kitchen remodeling dollars and the strength of the housing market in your specific area. The annual Cost vs. Value study Report--a joint study done by the National Association of Realtors and Remodeling magazine-provides national and regional averages. The report is an estimate of the costs associated with a kitchen remodel and compares it to the value it would recoup if the home sold ONE year later. Most older-style kitchens can easily be updated without major structural changes. Painting the walls and replacing cabinets might be a starting point. Replacing vinyl flooring with ceramic tile, new countertops, a ceramic backsplash and a double-basin sink are modern kitchen remodeling options many homeowners consider. New appliances might be included in the facelift such as a dishwasher or a drop-in range. An antiquated kitchen may need to be gutted. New custom cabinets and natural stone countertops become the rule. A kitchen remodel is something the chef of the house wants and deserves. Changing an inconvenient traffic flow and adding state-of-the-art appliances to make gourmet meal preparation possible is every chef's dream. Does your home fit your changing family size and lifestyle? Do you have enough space to entertain? Does your kitchen inspire the inner chef in you? Is your bathroom up to its potential? Do you have heavy traffic at your back entrance that would benefit from a mudroom? Is there hidden space in an unused basement, just waiting to be converted to a home theater? Many changes can be made to a home without changing its existing square footage. Are you making the most of the space you have? Call us to see what is possible! Additions are also an option. Whether going up or out, extra square footage can provide needed space for a bedroom suite, inlaw suite, a larger kitchen, family room... or any other needed area. Curb appeal: As any real estate agent will say, after "location, location, location!" curb appeal is a major factor in receiving a good price for a home when it comes time to sell. Increased home value: An attractive exterior adds to its perceived value and improves the neighborhood's home values. Protection from elements: Keeping your roof and gutters maintained, prevents structural damage to your home. Safety: Decks and foundations should be periodically examined for damage to prevent failure. Some popular exterior renovations include roofing, porticos, siding, windows, front entry doors, exterior trim, lighting, decks, porches and hardscaping. Give Tim a call to learn more: 503-362-0674. First impressions! A front porch can make your family and visitors feel welcome. It's more than just curb appeal, although that is a factor, as a well-contructed front porch is an indicator of what lies within your home. Porches have made a comeback over the past years, providing cover, relaxaton and privacy. Add screening to transform a porch even further, extending uses to playrooms, a cozy reading nook, or a safe area for pets. The uses are only as limited as one's imagination. Make the most of Oregon's summer weather by creating a private outdoor living space to enjoy. After a long cold winter, you can look forward to sipping an adult beverage by the pool or spa, barbequeing for your friends and family, or enjoying a firepit in the evening hours. Whether you seek a tranquil place to enjoy the beauty of your roses, or want an outdoor space for entertaining, Salem Remodeling can transform a plain yard into a personalized area that meets your needs. Sunrooms, screened-in porches, swimming pools, hot tubs, fire pits, decks, water features, outdoor kitchens... the list is endless. 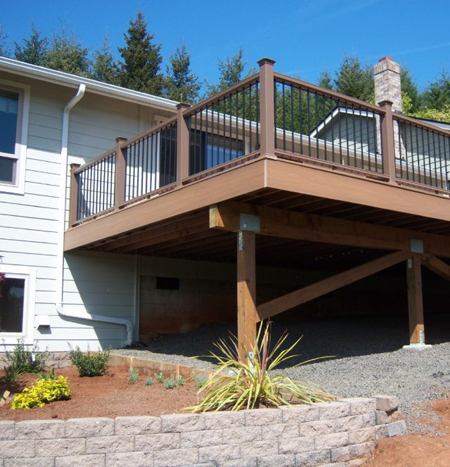 Give Tim a call to see what an outdoor living renovation can do for you: 503-362-0674.